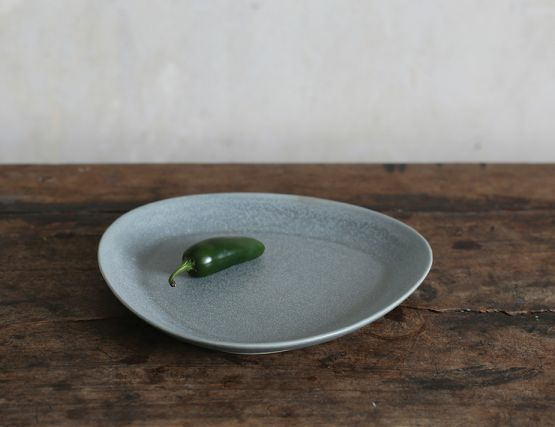 Handmade plates in stoneware make up the dinnerware collection. 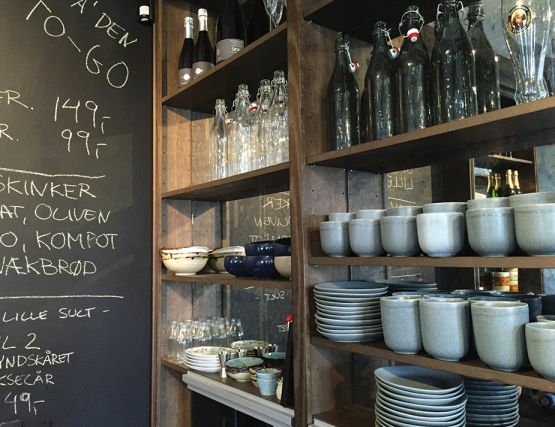 It is a series created with Japanese aesthetics and Danish functionality. 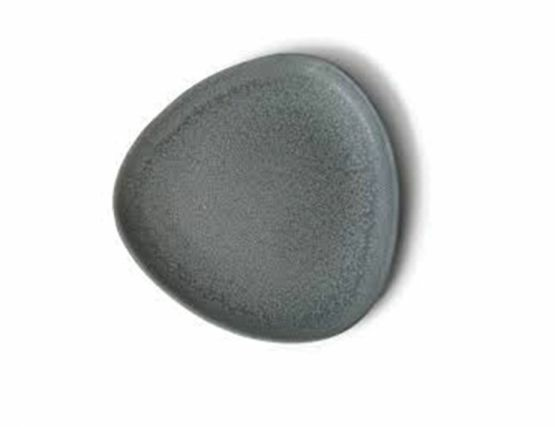 The organic triangular form is characteristic for Ro ceramics. 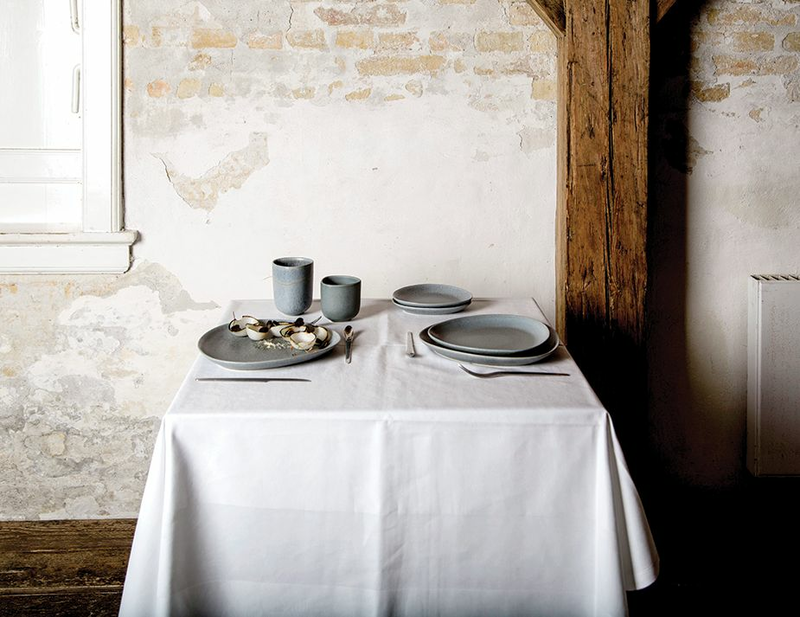 Setting a table with this dinnerware collection, allows you to create endless compositions on the table. Both the shape and colour create an organic background for natural food, artisan coffee and afternoon tea – for festive occasions or everyday life. 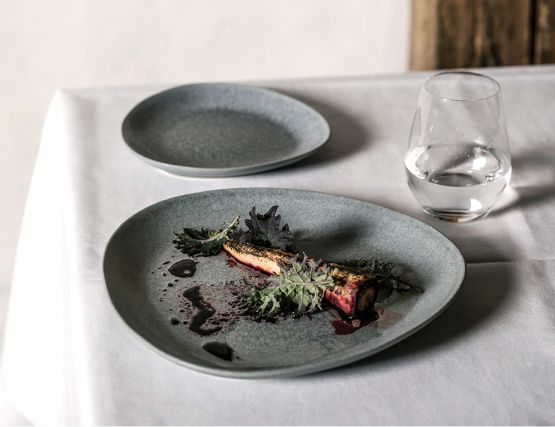 The plates and cups are produced in a small factory in Portugal, where proud pottery traditions have existed for generations. 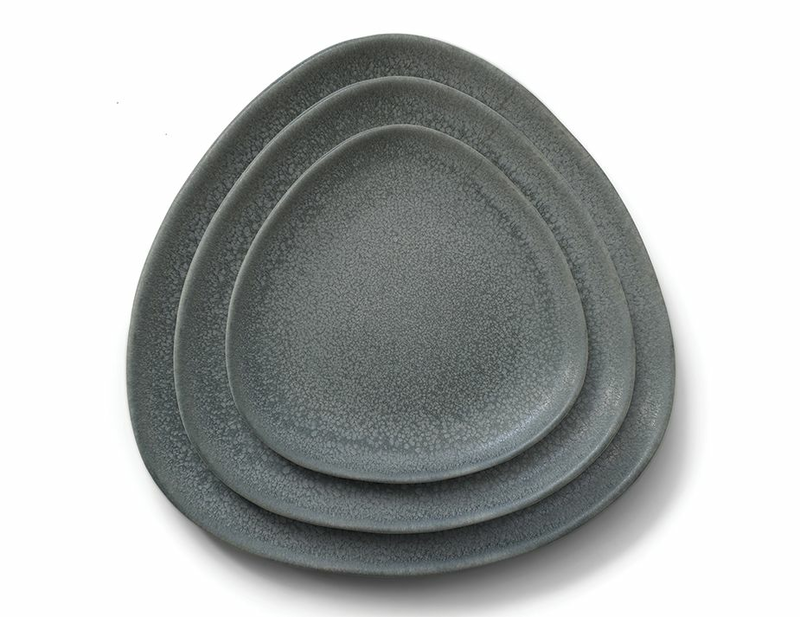 The plates are a are suitable for breakfast, lunch and dinner. The material - Mug & Plate are hand-casted in stoneware and glazed in a mat slate grey colour. A complimenting setting for dining, with a clear reference to the surrounding Nordic nature and kitchen. 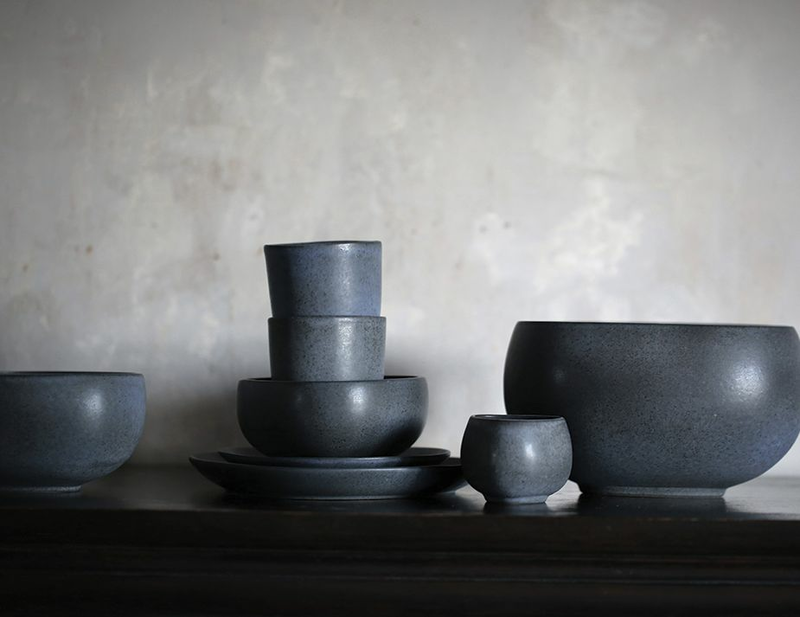 The colour- tone of the glaze may differ from plate to plate and cup to cup making each piece special. The plates and mugs are stackable and dishwasher safe.